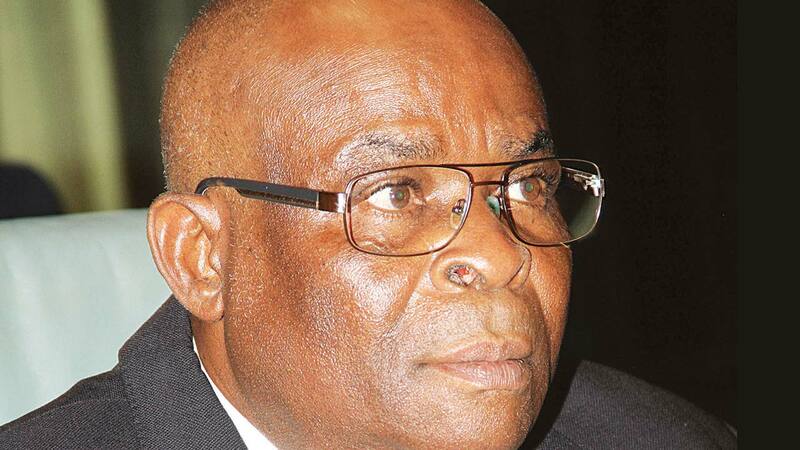 The Supreme Court has struck out the suit that Senate challenging President Muhammadu Buhari’s powers to suspend the Chief Justice of Nigeria, CJN, Justice Walter Onnoghen, Justice Walter Onnoghen. Justice Rhodes Bode-Vivour, who led a seven-member panel of Supreme Court justices officially terminated further hearing on the suit, after it was withdrawn by the Senate. The Senate had in the suit marked SC.76/2019 approached the apex court to determine whether President Buhari has the constitutional powers to unilaterally suspend Justice Onnoghen as the CJN. President Buhari had on January 25, suspended Onnoghen over alleged non declaration of his assets as prescribed by the law, and swore in the next most-ranking justice of the Supreme Court. Consequently, Justice Tanko Muhammad was sworn-in as the acting CJN in controversial circumstances. Given the furor that trailed Justice Onnoghen’s suspension, the Senate approached the Supreme Court, asking for a declaration that the president’s action was in gross violation of Section 292(1)(a)(i) of the Constitution, as amended. It prayed the apex court to quash Onnoghen’s suspension and restore him as the substantive CJN. Cited as defendants in the suit were President Buhari and the Attorney-General of the Federation, Mr Abubakar Malami. In view of the constitutional issue, the Senate sought to be determined in the suit, the acting CJN, Justice Muhammad, constituted a seven-man panel of justices to grant an accelerated hearing to the matter. Meanwhile, when the suit came up on Tuesday, counsel to the Senate, Mr. Paul Erokoro, applied to withdraw it. Erokoro told the apex court panel that his client had earlier filed a notice of discontinuance, though he did not adduce any reasons behind the decision. Responding, counsel to the defendants, Mrs. Maimuna Lami Shiro, said President Buhari and the AGF were not opposed to the request to abort hearing on the suit. Consequently, Justice Bode-Vivour struck out the matter. The Senate had in the suit, prayed the apex court to among other things, issue an order restraining President Buhari and the AGF from continuing or repeating the violation of the constitution and disregarding the power of the Senate in respect to the suspension of the CJN. Senate also wanted it to issue a declaration that the suspension by the president of Hon. Justice Walter Samuel Nkanu Onnoghen from his office as Chief Justice of Nigeria on or about January 25, 2019, without an address calling for the removal, supported by two-thirds majority of the Senate is in violation of Section 292(1)(a)(i) of the constitution and therefore null and void. However, before the case could be heard, the plaintiff, via a statement that was signed by the Special Adviser to the Senate President on Media and Publicity, Mr. Yusuph Olaniyonu, announced its decision to discontinue the case. The Senate based its decision on the fact that the National Judicial Council, NJC has already wadded into the issue. “The Senate has decided to discontinue the case it filed at the Supreme Court. It should be noted that the case has been slated for hearing tomorrow (Tuesday). “This decision also affirms the confidence of the Senate in the ability of the NJC to successfully and creditably resolve the issues,” the statement read.